CHARTING A NEW PATH - The Americans .US! The new director of the Army Rapid Capabilities Office discusses her vision for delivering major capabilities fast and helping to shape Army modernization. Doubling the range of towed cannon artillery in less than two years. 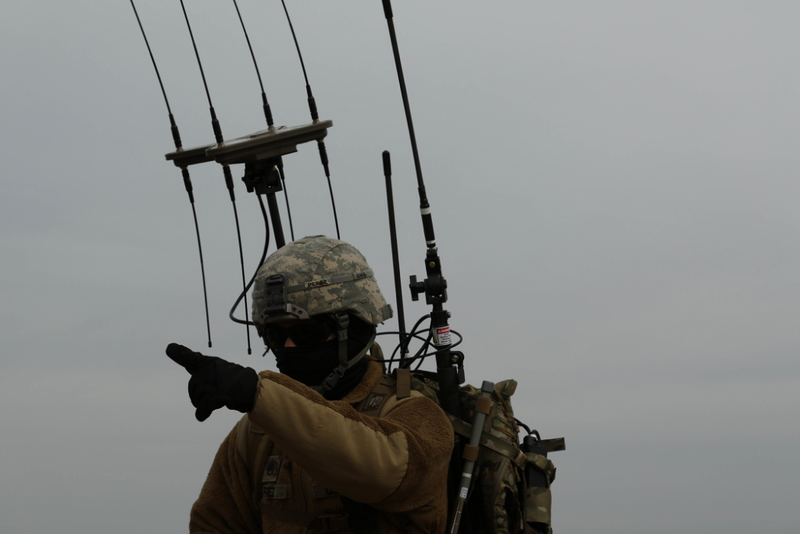 Delivering the Army’s first electronic warfare systems for brigade and below. Training artificial intelligence algorithms to detect enemy signals. The Army Rapid Capabilities Office (RCO) doesn’t do small goals. And that’s why the Army selected Tanya Skeen to lead it. A 10-year veteran of the Air Force RCO, on which the newer Army version was modeled, Skeen helped the Air Force prove that a small, specialized acquisition shop can deliver major capabilities—even a long-range strike bomber—fast. Now, Skeen hopes to bring that formula to the Army, by preparing the RCO to partner with the Army Futures Command (AFC) to deliver the Army’s top six modernization priorities: long-range precision fires, Next Generation Combat Vehicle, Future Vertical Lift, the network, air and missile defense, and Soldier lethality. Skeen, a Tier 3 member of the Senior Executive Service, took the reins of the Army RCO in April and wasted no time putting her experience and vision into action. She aligned the organization’s project teams with the Army’s top six priorities, built its capacity to execute larger and more complex programs, and acquired several new projects, while continuing to develop and deliver capabilities to Soldiers in Europe and the Pacific. She took the authorities in the 2-year-old Army RCO charter—similar to the Air Force RCO version—and brought them to life. She demonstrated the opportunities that rapid acquisition presents for a Futures Command, and an Army, ready to take risks to achieve big things. During an interview on July 25, Skeen discussed the Army RCO, from its processes and partnerships to its potential. Nancy Jones-Bonbrest: The Army RCO is a relatively new organization, entering its third year. What is your vision moving forward? Tanya Skeen: The Army RCO is about delivering capabilities faster and better. Acquisition in general is focused on that across the Army. So what makes the Army RCO different is really the authorities in our charter, which is signed by the secretary of the Army, chief of staff of the Army and the Army acquisition executive. The charter gives us the ability to streamline and tailor the processes and policies that are in place for acquisition and how we do business. We aren’t going against any statutes or doing anything that is not aligned with the law, but it does allow us to take a look at the various processes, approvals and policies in place and evaluate if those are value-added, if they are necessary for this particular effort that we might be doing, and ask if there is another way to accomplish the mission. The programs that are assigned to the RCO are strategic and critically important to the Army, so we should be challenging the norms, challenging those traditional ways and traditional processes to deliver capabilities faster. Another critical component of the vision is small teams: How do you use a very small team and deliver capabilities that are truly meaningful with fewer people, less time and, frankly, less bureaucracy? Jones-Bonbrest: You came to the Army in April, after last serving as the Air Force deputy director of test and evaluation, and previously in several senior positions at the Air Force Rapid Capabilities Office. What lessons do you bring from how the Air Force RCO does business? Skeen: The charter that I mentioned previously is definitely modeled directly from the Air Force RCO. In their 15 years of history, I was there for about 10 years, and we learned a lot of lessons. One is that it really is about high-quality, motivated people, and having them all together working toward a common objective, which is to deliver capability to the field. It’s not about awarding a contract, it’s not about any one functional area—it’s truly about delivering the capability. The other key lesson learned is having a short, narrow chain of command. The fact that the Army RCO reports directly to a board of directors consisting of the secretary of the Army, chief of the staff of the Army and the Army acquisition executive—having that ability to shorten the decision chain is really vital if you want to go fast. Another lesson learned is that we need to gradually model that rapid behavior for the Army. The Air Force RCO did that. You don’t start out with 100 programs. You start out with a few really important programs, model the behavior that you’re trying to display and build from there. So a key lesson learned is not only what you assign to an RCO to focus on, but also how much. If you give them the world, it will truly fail and collapse under its own weight. Jones-Bonbrest: With the standup of the AFC and its eight cross-functional teams, the Army is prioritizing modernization. First, how can the RCO support the cross-functional teams? Skeen: We’re already supporting the AFC and cross-functional teams. I work with Maj. Gen. JamesM. Richardson [the special adviser for program integration in the Office of the Vice Chief of Staff of the Army] often and I’ve met with all the cross-functional team leadership. The cross-functional teams are focused not only on delivering the Army’s six top modernization priorities, but also on getting those requirements right. So the RCO can support the cross-functional teams by helping to refine requirements through prototyping and demonstration, by doing something quicker, smaller and then evaluating those requirements again. Then we feed that information into a more formal program of record. When the AFC or cross-functional teams identify a need that is a good fit for the RCO to take on, we are recognized as a tool to deliver capability quickly. So when they have a concept, a set of requirements, and the RCO looks to be a good acquisition model for them, we can approach the secretary and the chief with that idea, and if that is directed to come to the RCO, we will leverage our acquisition model to deliver that capability directly. Jones-Bonbrest: What about other support to the Army Futures Command? Jones-Bonbrest: With so much attention focused on AFC and cross-functional teams, will the RCO continue to work with PEOs [program executive offices] for some of its projects? Skeen: Absolutely. We’ve had many great successes in partnering with PEOs, and that’s a very fast way to show a different model, a different acquisition approach. We did that with our electronic warfare project in Europe, and that was a wonderful partnership with PEO IEW&S [Intelligence, Electronic Warfare and Sensors]. With that effort, we got to leverage the RCO charter, the RCO authorities and the excellent engineering and acquisition folks in the PEO to deliver a capability very quickly to the field. That’s another great way to change acquisition and change the culture across the Army. Jones-Bonbrest: At its founding, the Army RCO was initially assigned to focus on electronic warfare and position, navigation and timing. With the mission growing to include long-range precision fires, active protection systems, artificial intelligence, cyber and other areas, what technology or technologies are you most excited by? Skeen: When you talk about tech, I like tech that’s fast. What can we deliver that truly is game-changing to the Army, and how do we do it quickly? My inner engineer can get excited about everything from a chip to a rocket to a tank to a long-range cannon. So there isn’t one particular area. It’s really about how we harness these brilliant ideas that are across the country and turn those into capabilities. Jones-Bonbrest: The most recent National Defense Strategy asserts that the U.S. is engaged in a great-power competition with near-peer adversaries, and that DOD is behind in critical modernization areas. Are there threats that keep you up at night? Skeen: Hypersonics and the investments that our adversaries, particularly China, are making in hypersonics concerns me. Cyber and the focus on offensive cyber capabilities of our adversaries, particularly Russia, concerns me. But the biggest threat that would keep me up at night is apathy. It’s not a technical area, it’s not something that someone is producing. But when I see the investments and focus of our adversaries in certain areas, I get concerned. I get concerned that we will not have the focus and stamina required to deliver the capabilities we need as a nation. We are in a great-power competition and we cannot afford to be apathetic—we must have the stamina to really see through some of these game-changing capabilities. Jones-Bonbrest: How can the Army RCO positively influence the larger acquisition system and culture? 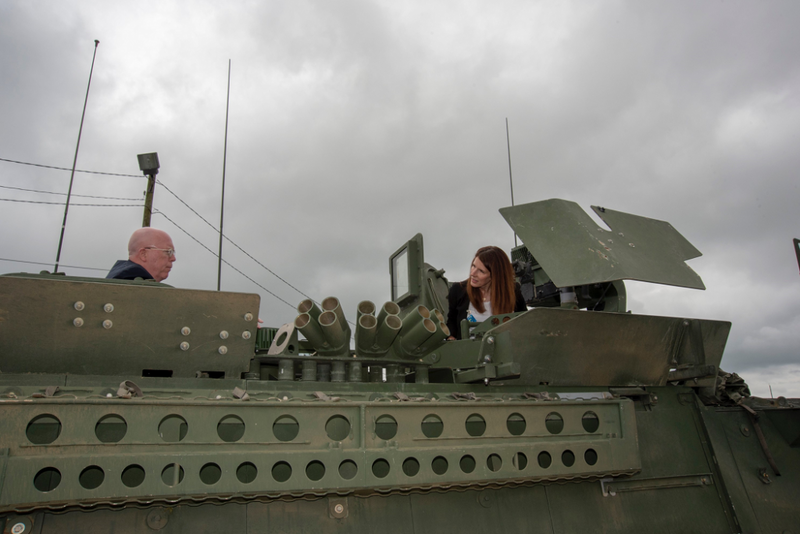 NANCY JONES-BONBREST is a public communications specialist for the Army Rapid Capabilities Office and has written extensively about Army modernization and acquisition for several years, including multiple training and testing events. She holds a B.S. in journalism from the University of Maryland, College Park.